While there may be an inherent unit cost impact for a rigid-flex circuit, in many applications the added cost is easily outweighed by the overall net benefits and potential assembly cost savings that rigid-flex technology brings to a project. 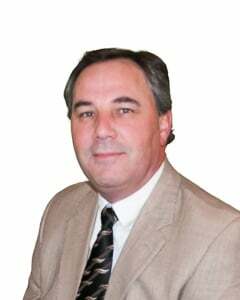 Reliability is a primary area that rigid-flex improves upon in a design. This is accomplished by eliminating a significant number of interconnect points between rigid areas which in turn reduces the number of potential failure points. In high reliability applications the need for the highest degree of reliability is often the only design requirement needed to justify a rigid-flex application. 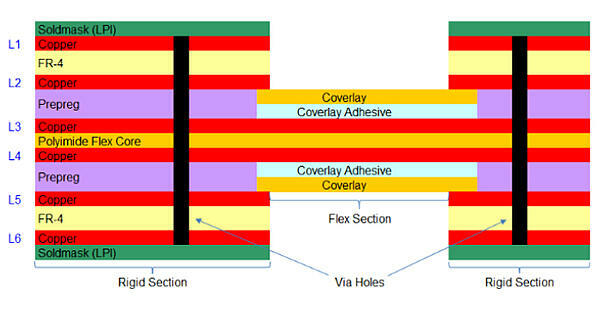 Incorporating the flex circuit layers within the rigid areas results in the rigid to flex layer(s) connections to be in the form of plated via holes that pass through both the rigid and flex layers. With this method, the rigid-flex PCB design is deemed to be one integrated unit with no “added” points of interconnect between the individual rigid sections. Mechanical reliability is also enhanced, over wired solutions, by both the tighter more reliable bend capabilities of flex circuits and the reduction in total weight for designs with shock and vibration test requirements. 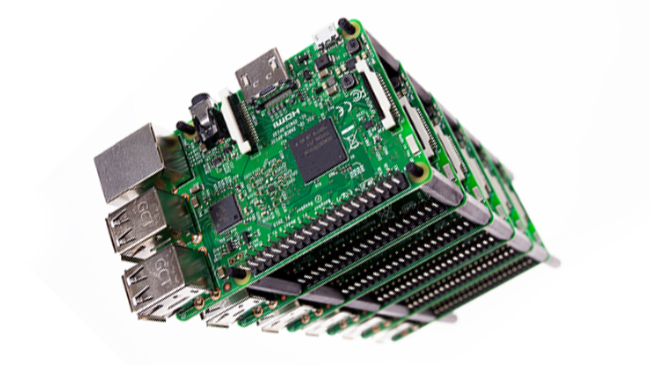 The packaging requirements, or physical PCB size, are reduced by using a rigid-flex design. The real estate required for connector foot prints is eliminated in the layout. This “available” space can now be used to reduce the dimensions of the rigid areas, relax the complexity of the design, and/or add additional functionality. An added layout benefit, in some rigid-flex PCB designs, also comes from not having to rout circuitry to an external layer connector. 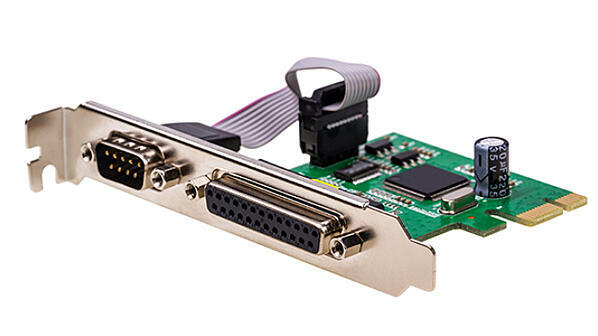 This can simplify the layout by reducing the number of vias and or external traces running circuits to a connector further reducing the Gerber layout space requirements. The next significant area of improvement is in the overall packaging size requirements of the design as a whole. 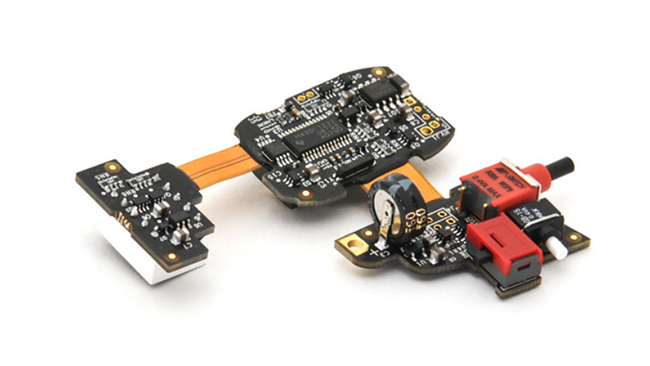 In addition to, as mentioned previously, a reduction in size of the rigid PCB areas, the mechanical bend capabilities and reduced size of flex circuits far exceed what can be achieved with other connection solutions. As a general rule, flex consumes 10% the space and weight of a wired solution. This is due to the much thinner flex materials used and the much smaller line widths and spacings possible in a flex circuit layout. Flex is also, due to its significantly reduced thickness, capable of much tighter bend radiuses which allows rigid PCB sections to be packaged much closer to one another. This becomes magnified in designs that have high speed-controlled impedance signals between rigid areas. It’s for this reason that rigid-flex is applied in many designs where available space is at a premium. Designs with controlled impedance requirements benefit from the use of rigid-flex. The elimination of interconnect points to and within connectors reduces discontinuities in the high-speed signal lines. Flexible PCB materials have a lower DK value than most rigid materials and are very uniform in thickness. This provides very good and consistent impedance values and signal integrity for both stripline and surface micro strip configurations. The much thinner construction of a controlled impedance configured flex also allows again for much tighter bend radiuses and packaging than a wired solution. A final benefit can be reduced assembly costs. Rigid-flex designs require no additional assembly processes to interconnect between rigid sections. Cost of connectors and their assembly are eliminated. Assembly errors are not possible as the parts can only be assembled in one way. 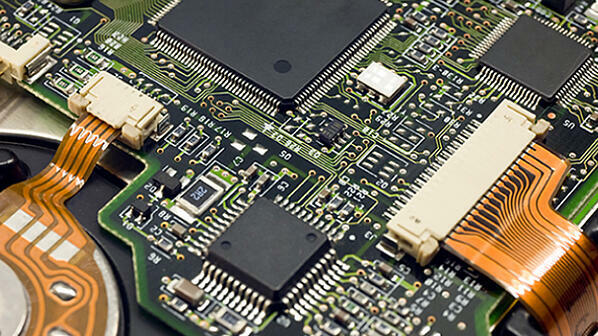 For designs with wires or flex circuits that are directly soldered to rigid PCBs using rigid-flex will save a significant amount of manual assembly costs and potential assembly errors. In closing, integrating flex and rigid PCB technology brings capabilities beyond those of many other solutions which solves challenging design requirements. These capabilities can significantly improve a project by enhancing the reliability, reducing the packaging/size requirements, improving the electrical performance, and potentially reducing the total assembled cost of a finished design.